One month ago we had fewer than 200 fans. Now we have over 2000. Here are the 10 things we did on the Author Media Facebook page to create explosive growth. 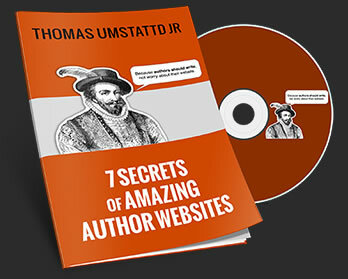 You are welcome to steal these tricks to attract publishers and sell books. Without fans, your page is empty. A useless book marketing tool. These tips worked for us and they can work for you. Everyone has the same question. Why should they like your page? What can your page offer that half a dozen (or a few thousand) other pages can’t offer. Why should I share this page with my friends? If you want to have followers you have to serve them in some way. No one cares about you. But they will follow you anyway if you offer them some sort of benefit for following you. What should that benefit be? That depends on your book. If you are writing about parenting you should probably answer parenting question on your Facebook page. Giving away parenting advice won’t hurt either. articles relevant to writing and publishing. For you the answer will be different. If you are just talking about yourself why should someone follow you? This can occur at any time in the life of your page. However, you can only send a mass invitation to all your friends immediately after the page has been created. If you have thousands of friends, make sure you invite them to like the page immediately after it was created. Also, you generally only get to do this once so make sure the page provides a clear value before you send out the invite. They say that a picture is worth a thousand words. In the virtual world of Facebook, a picture with a few words is worth shares and thousands of impressions. We’ve discovered this is true. The above “image” was shared by dozens of people and reached thousands of people. And the image is just text! Every time the image was shared, a fresh group of people were exposed to our brand. Make sure to include your web-address on the image so people know where to go. It’s easy to add the words: find me on Facebook at Facebook.com/AuthorName. Get creative. There are hundreds of ways to promote your page offline. Readers generally expect to see social connection icons at the top right side of your website. This is where you can generally find Twitter/Facebook/RSS etc. When you put the icons somewhere else it makes your Facebook page that much harder to find. If for some reason you can’t put it at the top right, put it in the sidebar or in the footer. The harder it is to find your Facebook page the fewer fans you will have. This is sometimes called a Facepile and it shows how many other people like your page. This social proof is very powerful. People are more willing to like a page they see other people already like. After we started doing this at Author Media, traffic grew by leaps and bounds. Also, every time we got a traffic spike it led to a spike in new likes on Facebook. Advertising has contributed more fans than all the other tips in this list combined. If you are interested in learning more about Facebook Advertising contact us. Also, let us know in the comments if you would like more posts about Facebook advertising in the future. Nothing increases your number of likes faster than effective Facebook advertising. Do you have a personalized username and url? Ours is Facebook.com/AuthorMedia. To get your own customized name simply go to Facebook.com/username. Be careful, once you pick a name you can never change it. Make sure and read our guide to picking the correct Facebook name before you make a mistake you will regret for years. Optimized landing pages transform strangers into fans. When you combine Facebook advertising with optimized landing pages, you are able to create fans far more rapidly. Look at our landing page. It’s important that your landing page match your advertising campaign. The best landing pages have two panes. One for fans and one for non fans. You want to encourage people to click “like” by offering them a boon of some sort for clicking like. For us, we generally give away some sort of eBook or guide. It’s okay to direct your email readers to your Facebook page. Put the icon in your newsletter and then encourage readers to become fans. You can incentivize them by creating a customized landing page and offering them something special for liking your page. Some authors offer bonus chapters of their books. How do you promote your Facebook page? How long did it take you to grow the page?